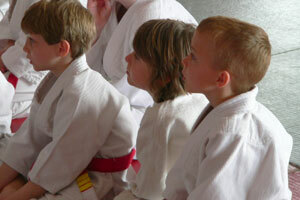 Once again we had a fun packed course including Judo, Jujitsu, Aikido, Body Combat, Grading and Displays. Thanks to all who took part and families and friends that supported the event. 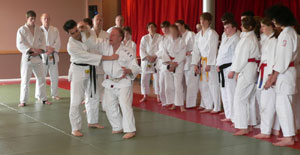 Thanks also to the tutors and assistants. 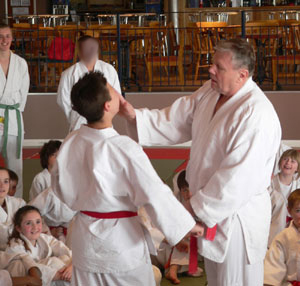 Sensei Ruth, Dan and George (classroom helpers) are climbing Ben Nevis on 4th Sept 2011 to raise money for Breast Cancer Care. At the National Course they ran two events to raise money for the charity. 'Guess the name of the teddy' competition and a family fun session in the swimming pool. Total raised was £264. A big thank you to all who supported this event. 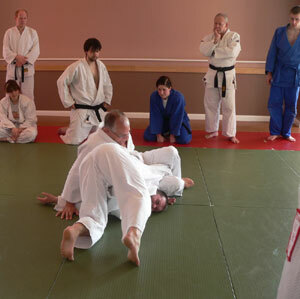 Sensei Goldman and Sensei Clarke demonstrate different methods of capturing and trapping. 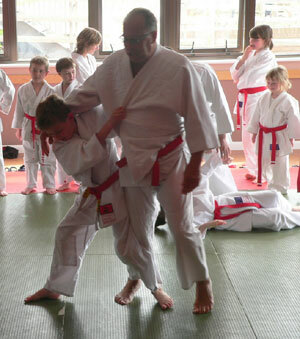 and (right) younger students get the chance to try and throw ... go on! 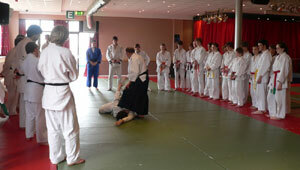 Once again Sensei da Costa World Masters Champion taught the seniors. 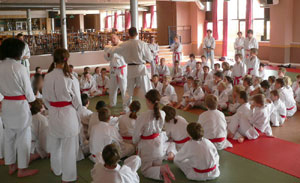 This year Shinjido and Aikido.